Larry Hryb: Hi. It's Larry here at Xbox Live's Major Nelson, and, uh, wow, we're back. We're back. It's been, it's been almost a month. Actually, I think it's been more than a month Laura. Laura Massey: It's been forever. Larry Hryb: Hi La-Laura. Nice to see you. Laura Massey: Hello. Nice to see you Larry. And wow. Laura Massey: We haven't found Jeff. Larry Hryb: Uh, that's quite all right. Jeff is, Jeff is globe trotting, but I remember, I told you. I said, "Laura, we've got to do a show." 'cause I hate going such a long time without doing a show. Laura Massey: Yes. I can't even remember the last time we had a show. Do you? Larry Hryb: Well, I was ... yeah, I can tell you. It was, uh, no ... Thursday, November, uh, Friday, November 21st. So it was before I left for Australia. Laura Massey: Friday, November 21st is in the future. Larry Hryb: Uh, Friday, October 21st. Larry Hryb: My trip to. We'll talk about my trip to, uh, I was in Mexico. I was in Australia. I went to Pax Australia. Laura Massey: You've literally gone around the world. Laura Massey: Is it more than around the world? Larry Hryb: Uh, I think it's pretty close. I flew over 56,000 air miles. Larry Hryb: And spent over 70 hours in an airplane seat in 14 days. Laura Massey: Jeez, that's amazing. Larry Hryb: But we're ... I'm sure we're excited because we're now sitting here, you know, we talked earlier this week, we celebrated the 15th anniversary of Xbox. Laura Massey: That's right. Horray! Laura Massey: Happy birthday Xbox! Larry Hryb: And also, another milestone ... we passed the one year anniversary of backward compatibility on Xbox One. Larry Hryb: Did you know that? Larry Hryb: And sitting with us in the studio today, joining us from his backward compatibility laboratory, Bill Stillwell. Hi Bill! Bill Stillwell: Hi Larry. How are you? Larry Hryb: Now your team is responsible for running the backward compatibility program. Bill Stillwell: Yes, the team that I work on runs all compatibility efforts for the platform, as well as also 360. Larry Hryb: So, I want to welcome you to the show! Larry Hryb: Yeah, we're really excited to have you in here because you and I have been working together. Well, I first ... well, I've known you for awhile, but when you told me about ... I want to go back in time. Because you know, I'll never forget this. You were in a different building, and I remember I came to see you in your different building, which is a little bit off-campus in the secret hider bunk-out, bunker. And somebody told me you were working Xbox 360 games coming to Xbox One. This is before we announced it. Larry Hryb: And I was like, "Bill, are we going to do this?" And you were like, "Yeah." and you shut the door, and I remember you brought up on your, on your, uh, on your DevKit how it was working, and it was, it, my mind was blown. Bill Stillwell: Yeah, we, we had it running for a fair amount of time. Bill Stillwell: In the begin- in the concept phase. We were really just working with prototypes. Bill Stillwell: They sort of take it as a dare. Bill Stillwell: They went off, and they went, "Well, we've got some of this here. We've got some of this here." And they put it together and then eventually we got a game running. Larry Hryb: Can you say what the first game was? Laura Massey: Yeah, can you share? Bill Stillwell: Internally was actually Castle Crashers. Bill Stillwell: Because we're trying to work through ... 'cause there's not a ton of overhead for the emulator to run on the console itself. Bill Stillwell: But we, we started with that, and then we tried a couple other games as well, some I can't talk about. Bill Stillwell: But, uh, had it running, and then they showed it to the leadership team. Larry Hryb: What was that like? Presenting that? That must've been pretty amazing. Laura Massey: Every single day. Bill Stillwell: Yeah, just all the time, and so, um, you lose sort of that experience of the very first time you saw it. Bill Stillwell: 'Cause it's been months and then you show it to someone and then you see it again, you sort of get to relive that moment where they realize the impact of what you're potentially doing. Bill Stillwell: But even then, we were still looking at it as a technical problem. Bill Stillwell: And until you start to see user interactions with it, you're not really sure what you have. Bill Stillwell: Other than you've done something technically difficult, and you've made it successful, um, that's always rewarding. Just from a career perspective but not necessarily from a, uh, just fan enthusiasm. Larry Hryb: I got to tell you ... this is, this is actually my, kind of my second time around this, this track because here's why. I remember when I was working on the Xbox 360, and there was a team downstairs. I think that it was the fusion team. Larry Hryb: The fusion team. Laura Massey: I remember them. Larry Hryb: And do you remember them? Larry Hryb: And they were running ... they were working on backward compatibility for original Xbox games, so I remember some of the things ... I would go down and stop by their offices everyday, and I don't know if you remember this Laura, but they had a number on the door. Larry Hryb: I'd go by, and it was five, and then it was seven. Larry Hryb: Then it was 12. Then it was 18. It stayed 18 or 20 for a long time. So, I'm, I remember seeing that small team back then doing it and obviously in original Xbox games to Xbox 360, there was an architecture change for those of you who remember that. And it's similar to what happened now. Was another architecture change from the Xbox 360 to Xbox One. Bill Stillwell: Yeah, we, we had to take effectively power PC code and translate it to X- X84. Bill Stillwell: And there's a whole bunch of other things that have to go into that. And one the things that's different from what we do; we call it the project Fision, which was different than Fusion. Bill Stillwell: From Fusion to Fision. Bill Stillwell: And looking at where, uh, the emulator's able to handle load or handle physics engines or where accuracy is done. It does add new challenges. Um, when you change the size of the memory address space, you have to do translations and so maybe floating point calculations don't come out exactly the same. Larry Hryb: You with this Laura? Laura Massey: Yes, I am. Laura Massey: I'm over there. Bill Stillwell: Right, we had a, we had a period of time where we had Fortune Horizon running great. Looked flawless. It just didn't have any collisions in it. Bill Stillwell: So you just drive right through a regular car. Then you go through and whenever you work on correctness or you work on precision, that takes away from performance. Bill Stillwell: And making sure that it all runs the way it did on the 360. Larry Hryb: Before, before, before, um, it was announced. Bill Stillwell: Two things. Two things stand out before E3. Bill Stillwell: The first was we were terrified it was going to leak. Bill Stillwell: And because you don't think about it when you first start building the prototype, you're showing everybody. "Hey! Look what we've done!" Bill Stillwell: And they're like, "Oh, that's really cool." And then you're like, "Oh no, we don't want anybody to know we're doing this." Bill Stillwell: Oh, oh, who saw this? Um ... did this ... and as excitement builds for E3, you see all this speculation on Reddit and [inaudible 00:07:11] and others. Larry Hryb: Yeah, of course. Bill Stillwell: And the best part about it was every time somebody said, "I bet you they're going to announce 360 games they're running." Somebody else would just say, "There's no way. They already said it was impossible." Bill Stillwell: Were just shouted down. "No, you're too ... you're completely wrong!" Larry Hryb: They can't do it. Bill Stillwell: "There's no way they can do that." Bill Stillwell: So that was, that was pretty awesome to see. The other part was we, we did Mass Effect as our first game. Bill Stillwell: That was the big reveal, and partly that was chosen because it ran. Bill Stillwell: It was also ... it's an iconic game. Bill Stillwell: It sort of represents the console in a way. And for ... there was a number of things that came together on licensing, et cetera. Bill Stillwell: So, we picked that game. Bill Stillwell: I love the series. Bill Stillwell: But I will also acknowledge that it isn't the cleanest running game. Even on the 360. Larry Hryb: Yeah, you're getting ready, and you're rehearsing. Bill Stillwell: "This doesn't look right!" Or "Why does it look so jerky?" Bill Stillwell: "What's wrong with the emulators?" Bill Stillwell: Well, it's actually game. Larry Hryb: That's actually the game, guys. Laura Massey: That's a way around 360. Bill Stillwell: Right, and that's, and people forget that. And we still, we still see that today right? Bill Stillwell: We release a game, and people are like, "I don't like how this looks." or "It doesn't play as good." Bill Stillwell: And it's like, "No, it plays exactly the same." Bill Stillwell: "You just don't remember it because it was eight years ago." Bill Stillwell: Getting that game running on the stage. Bill Stillwell: Like, "I don't think it looks right! What's wrong with the system?" Larry Hryb: Do you ever want to just bust out an old 360 and put it in there and go, "Guys, so ... Look!" Bill Stillwell: And see if anybody would notice. Bill Stillwell: So when they still said, "It still looks horrible." Well, it turns out you're on the 360. Laura Massey: See, that was probably the best reaction to any of the announcements that year for E3, uh, in the crowd. Laura Massey: I remember the crowd just erupted in huge cheers. Bill Stillwell: It was, it was super humbling. Bill Stillwell: Um, I've been to E3 before, but it's always been sort of I go there, and I go meet with partners in the back room. Larry Hryb: Yeah, you're doing your business. Bill Stillwell: And I never really go out on the show floor. I've never gone to the briefing live. We had gone to the mall the night before. Bill Stillwell: Yeah, I was just some guy that was following him around. Larry Hryb: Right. I remember. Bill Stillwell: And Phil was there, and people were like, "Well, he's with them, so maybe he does something." Bill Stillwell: But they had no idea who I was. Bill Stillwell: "Because I love that game, and I still want to play that game." Bill Stillwell: And we would, and they would go through the list of things that they still play, and there's still an emotional attachment to these things. Bill Stillwell: Even though they're moved on. Bill Stillwell: And I get to sit there and it was awesome that they brought all of them to sit on the show floor. Larry Hryb: Right. Right. Right. And then when they announced it, um, you could ... there's a teleprompter that's up and so some of the press are reading ahead a little bit. Bill Stillwell: And you ... all of a sudden, there's just this massive intake of breath. Bill Stillwell: Because it says "360 Backward Compatibility". Bill Stillwell: And then everybody pauses and then the place just erupted. Bill Stillwell: And that's where you start to feel the impact of what you do. Bill Stillwell: And that's one of the things that's more rewarding than just about anything else because I'm, I'm a gamer. I play games all the time. Bill Stillwell: My son plays games with me. Bill Stillwell: This is an art form that we're just immersed in, and then you see how what you're working on brings that reaction to other people. And it's very rewarding. Larry Hryb: Yeah, I remember, I remember it was a wonderful year that year. Of course now we've ... we announced in 2015, we launched it, and as I said, a year ago, uh, 20 ... November 2015, and here we are in November 2016 ... wow! What a year it's been! Bill Stillwell: Yeah, it's been a big, it's been a big year for us. Larry Hryb: Now you've got ... you brought some stats, right? Larry Hryb: You've got a few stats you want to share with us. Bill Stillwell: Uh, well, well, we're over 280 games. Bill Stillwell: We're, uh, I don't want to put anybody on the spot, but we're going to try to get 300 as quick as possible. Bill Stillwell: May get it in by the end of the calendar year. We'll see. Larry Hryb: Maybe not. We'll see. Bill Stillwell: Maybe not. Be close. And we've done, and we've launched with 100 games. Bill Stillwell: Over 100 games. I've done 170 plus games since the launch. Bill Stillwell: At Microsoft. We publish more than anyone else. Bill Stillwell: And then another Mac pack came out. We have to do it all at one time, and we have to do it all for all regions. Larry Hryb: All over again. Bill Stillwell: Every time. Yes. Bill Stillwell: And so, we've released a ton of content. Um, the other thing that's really rewarding is we know now we're over 210 million hours of game play. Bill Stillwell: Playing these games again on their consoles. Bill Stillwell: A lot of people are playing it for the first time. Laura Massey: Yes, that's right. Laura Massey: It was eight years ago. Bill Stillwell: Yeah. They were too young to play it. Bill Stillwell: Or had never played a game, and now for them, and I'm sort of jealous they get to experience that whole trilogy again. Bill Stillwell: For the first time. Laura Massey: They can binge. Bill Stillwell: Yeah, they can play all three of them. Bill Stillwell: Um, [inaudible 00:12:24] coming out or whatever it is. Larry Hryb: Yeah, I mean there's been so much, you guy's have done so much incredible work. And I think that people forget that it's not like you just take ... you go out to, uh, you know, wherever and buy a ... go to someone's house, say, "Oh, we've got this Xbox 360 disc," and hand it to Bill and say, "Hey Bill, can you convert this?" Larry Hryb: No, that's not the way it works. Bill Stillwell: And when something comes up, it's the rank, it's time for this game ... the first thing they do is they put it through, um, a full play-through just to collect, collect enlightenment data to collect shaders and make it so we can package the game and make it run effectively. Larry Hryb: Now when you say "rank", what does that mean? Bill Stillwell: Really if you will. We look at other things. We look at the popularity of the game. Bill Stillwell: How well it sold. And then from there, we started ingesting those games into our system and running them through testing passes. Bill Stillwell: Not every, every game comes in in that rank order. Bill Stillwell: And so, we'll get a game that just happens to be ready to go, it'll come through, it'll ingest quickly, it's a short game. It takes, you know, a tester for hours to get through it or six hours to get through it. Larry Hryb: And you have to play ... and let's be clear, you have to play every single game again. Bill Stillwell: We play every single game. We play it multiple times. Larry Hryb: Multiple times. So when you guys make a ... so, you're like, "Okay, we're going to play the game. This worked okay. The shaders, the collisions were wrong, okay - play it again!" Bill Stillwell: It turns out that it's not the fun way to play a game. Bill Stillwell: It's, "Hey, just run into this wall 400 times." Bill Stillwell: Until we know it works. Bill Stillwell: Um, but we go through all of that and then in some cases, we'll have issues come up and we'll realize that we're not handling a condition correctly in the emulator. Bill Stillwell: And so we'll take or change the emulator to make the game run better. Bill Stillwell: But that may require it maybe destabilizing or it may be a type of change that requires us to do another full play-through again. Bill Stillwell: So we do continue to work, um, it's important, I think, for people to realize that when a game like Omega 5, which is a fun [inaudible 00:14:36] game that came out today. Bill Stillwell: We didn't like stop working on a title that you really wanted that was higher in user voice. Bill Stillwell: To go do this instead. Bill Stillwell: Um, we, we pay a lot of attention to what the ranks are and what people want. Bill Stillwell: We try to deliver them as fast as we can. Larry Hryb: We don't ... you need to go find out who owns the rights to the game. And can you in fact release it? Bill Stillwell: Yeah, that, that happens a fair amount. Um, a lot of time, we have another part of the team, they only interface with the publisher's third party publishers. Bill Stillwell: The business side of it. Bill Stillwell: And they look to collect, you know, do you still have the rights to this game. Um, it ... in some cases, it may just be the music. Bill Stillwell: That's a different music license. Bill Stillwell: Did their 360 contracts with that license in mind. Bill Stillwell: They bought the, the single use or the limited use license. Bill Stillwell: Which is not for distribution. Bill Stillwell: And so they'll have to consider, you know, what's the financial impact or will the licensing company ... the company that licensed from give me a waiver. Larry Hryb: So, there's work that needs to be done. Bill Stillwell: Studios go bankrupt. Larry Hryb: Yep. Yeah, there's ... I can think of a handful of studios that were big back in 360 that don't even exist anymore. Bill Stillwell: Obviously released a ton of great 360 games. Bill Stillwell: And now all their IP's been scattered and bought by various companies. Larry Hryb: And I, like, "Okay, we want to find this THQ game was X ... " Now you've got to [inaudible 00:16:17] and go, "Gee, who owns the rights to that?" Laura Massey: Right. A lot of legwork. Bill Stillwell: Yeah, it takes a long time. Um, and also, there's a little bit of the Wild West in some of these areas. Bill Stillwell: Somebody has written one that you're like, "There's no way anybody would ever do that." Larry Hryb: They did it. They did it. Bill Stillwell: Um, you know, where they've said very specifically a date or they've said very specifically a console brand or something like that. Larry Hryb: Yeah, something like that. Bill Stillwell: Something ... just like weird stuff. Larry Hryb: And because we, we respect all the IP right's holders, we have to share it down, and we have to do our due diligence and make sure we get clearance so that we can do this. Bill Stillwell: Yeah, exactly, and, and, and I, I want to say; the third party support we've gotten for the program's been amazing. Bill Stillwell: The great partners. They all want to be a part of this. Bill Stillwell: It just ... it's hard to figure out sometimes. Larry Hryb: You have to untangle that mess that happened 10 years ago. Bill Stillwell: But now is also how you could play the game, and we have to find that disc and make sure that it's the same image. Bill Stillwell: And we have to figure out all of those because we have to map that structure. Bill Stillwell: Before we can publish the game too. Larry Hryb: Are we, oh, can I make a request? Bill Stillwell: Yes, go ahead. Laura Massey: I remember that game. Yeah! Burger King game! Larry Hryb: You're still having nightmares, are ya? Bill Stillwell: Interesting fact about those games. When they were shipped, they were shipped ... as a, as a promotional game for Burger King. Larry Hryb: Right. You had to go to Burger King. Bill Stillwell: They weren't on our traditional encrypted discs that we use, which we used as the identifier. Bill Stillwell: That you've installed that disc. Bill Stillwell: The security process or we just decrypt and we go, "This is this game." Bill Stillwell: And then we can push the [inaudible 00:18:23] not in the box. Laura Massey: Oh, I see. Yeah. Laura Massey: What game that is. Bill Stillwell: You could've just put in any disc. I have no idea what it is. Larry Hryb: Right. Right. You put in Thriller. Larry Hryb: Trying to figure that out. Bill Stillwell: Maybe we'll do a promotion with Burger King and get them all back out. Larry Hryb: It's, uh, you know, so, so the good thing ... the good news is, is ... or not the good news is just to be clear is that there's a, there's a, there's, you know, User Voice is what you guys use, but there's a lot of other things. It's not just the publisher saying, "Yeah, you want to do ... we want to work with you." It's actually doing all the due diligence and getting all, making sure legally we're all set. Larry Hryb: Yeah, so there's a lot of working going on there. What's, um, what's been your favorite game that you guys have worked on? Do you have one? I mean, it's tough to choose, I'm sure. Bill Stillwell: Yeah, I mean, uh, I play a lot of different games. Sometimes it just depends on what, what I'm feeling that day. Bill Stillwell: I've always been a huge fan of Borderlands. Laura Massey: Mmm. [crosstalk 00:19:15] this podcast. Yes. Bill Stillwell: It's, uh, it's, I, I still play, and I, I think I bought every version of Borderlands they've shipped. Whether it's PC or 360. Bill Stillwell: Or One directly. And that was one of our first games. They were one of our big partners right off the bat, like, "Hey, how can we be involved? How can we help?" Um, so that's absolutely one of them. Bill Stillwell: And then I think that, uh, Reach. Bill Stillwell: Especially now that we've gotten the new update out. We do update the emulator pretty frequently. Larry Hryb: Yeah, I want to talk about that is that a lot of people may not know this is you guys don't just fire and forget. Bill Stillwell: Yeah, we, we, we run it. Every time we do an update, we run through the back catalog a bit. There's a set of ... a key set of games that we test play for compatibility. Bill Stillwell: Put the update on it. And then push it back out. Larry Hryb: And then re-release it. Larry Hryb: Finish your update. Bill Stillwell: You knew it going into the game what the story was, right? Bill Stillwell: You knew what was going to happen at the end, and I loved the way that they did it where I must've just played that last bit over and over to see how long I could survive. Bill Stillwell: 'Cause you're picking up enemy weapons and then more keep coming down. Larry Hryb: And they're all coming down. Bill Stillwell: And you just, you just keep going as long as you can. Bill Stillwell: I always liked that story. Bill Stillwell: I liked that part of the universe. Larry Hryb: Yeah, it's such, it's such a great program. The, the backward compatibility and what you guys have done. I mean 200 ... hopefully you can get to 280 games or 300 maybe. Maybe. I'm, I'm not telling you when or how or what those titles should be, but I also want to point out that, um, for those of you that don't know, you know, to find out what titles are being released, just follow me on Twitter. Or, when you guys, when you guys send me an email saying, "Hey, we're going to release these today!" Boom! I put them out, so we work ... I want to say, as you would say in the software industry, very nimble. Bill Stillwell: Yes, you've been a great partner for this too, and I appreciate it. Larry Hryb: Well, you guys have been great. It's great too that we have such a great partnership, you know, so I tweet them out the moment that they're available, and people just go download them and pop the disc in and away they go. Or if they have the digital copy, they just go ahead and grab it. Bill Stillwell: Just shows up and ready to install. Larry Hryb: Yeah, just shows up and ready to install. So, I mean, that's ... we're going to continue to do that. Of course, I'll, you know, it's, it's the big ones, we'll do blog posts for them. And I'm sure you got some other big ones you're working on that you can't talk about. Bill Stillwell: Yes, we're not done for the holiday season yet. Larry Hryb: Yeah. That's the most important thing. Now, now what's interesting is the, the Xbox 360 has a fairly finite ... you know, it has a finite catalog. Larry Hryb: Right, so, how many games was there? Was there 1500? Bill Stillwell: Uh, closer to 1800. Bill Stillwell: 1800. It's tough to get an exact count because early on, we didn't have digital, and so we can always go back and look at the digital inventory. Larry Hryb: Well, and there's different regions. Bill Stillwell: And regions. Right, exactly. But there's roughly 1800. There's a set of them we know we can't do because they use accessories. Bill Stillwell: That aren't able to be imported over. Bill Stillwell: Or they use the connect. Connect V1. Bill Stillwell: But, um, we're still chugging away at it. Larry Hryb: You got ... there's plenty of titles there for you. Bill Stillwell: Lots to pick from. Larry Hryb: Yeah, it's going, it's going ... it's really, it's really ... I want to thank you. I want to thank you and the entire team. Larry Hryb: On behalf of the gamers because you guys have done such amazing work, and you had to work so quietly and then obviously you had your moment in the sun and then, it, and then we made the announcement. Then, of course, for the past year, you guys have just been busy chipping away, so just, just do me a favor Bill. Make sure you tell your team, "Just don't, don't read the Youtube comments." Laura Massey: Don't read the comments. Bill Stillwell: Read some of them. Larry Hryb: Read some of them, right. Bill Stillwell: Um, yeah, they, they ... the team's a great team. It's some of the smartest people I've worked with at Microsoft. Bill Stillwell: And they care about this product. They do. Bill Stillwell: They, they look at all the feedback. Bill Stillwell: And I'll get frequently, "Hey, did you see this?" "Hey, did you see this?" "What are we doing about this?" Larry Hryb: Yeah, and you guys will email ... what's great is you guys will email me, like, "Hey, you know, can you post on Reddit about this has been updated or confirm this." So I'm ... we're partners. Larry Hryb: Everybody across the team is partners. And I want to do what I can to help talk about the incredible work that you and your engineers and the business folks are doing because it really is ... it's, it's phenomenal. There's nothing like it in the industry. Right? Larry Hryb: If you think about it. Bill Stillwell: It's, uh, we love the leadership support we get from Phil and his, and his [inaudible 00:23:09] to drive this program. Bill Stillwell: Independent of anything other than just sort of fan enthusiasm. Larry Hryb: Yeah, I was talking ... I spent the past, uh, last weekend with Phil, and we were down in Mexico. And we had a long conversation 'cause we, you know, we were talking about Skate 3 because you just released Skate 3. Bill Stillwell: Yes, we did. Bill Stillwell: Just old habit, right? Larry Hryb: Old habit. You just, "Okay, where's Skate 3?" Larry Hryb: Um, but you know, it's, it's, he's so excited about the work that you guys have done and just the fact that you ... we talked about, we didn't think ... you know, I want to be clear. We didn't think it could be done, and you guys ... i don't know how, you guys, you know, the engineers went off and figured it out, so, God bless you. Laura Massey: Yeah. Well done. Larry Hryb: Well, hopefully I can have you on in another year, and you can talk about some more stories. Larry Hryb: All right, Bill. Well, I'll let you go. Bill Stillwell from the backward compatibility team. Bill, thank you so much for your time today Man. Laura Massey: And thanks again to Bill Stillwell for stopping by and giving us that great in depth view on backward compatibility. Larry Hryb: That was, that was the, I think, the most in depth he's ever gone publicly. Larry Hryb: 'Cause you know, this is, this is, it's kind of those guys work, uh, you know behind curtain. Laura Massey: They do. They're a very secret area. Larry Hryb: They have secret sauce, and they're working on cool stuff, and I ... I've been working for awhile, and I said, "All right, it's been a year, so let's see if we can Bill out here." Laura Massey: Yeah it's great. Larry Hryb: So I'm thrilled Bill was able to join us. Laura Massey: Yeah, and during the interview, I had thought to myself, "I have a game that I might want to suggest." Larry Hryb: Which is it ... do you know what it is? Do you want to tell us? Laura Massey: But I don't ... I don't want to suggest it now. Laura Massey: We talked a bit about during the interview that there is a way to give us that feedback. Larry Hryb: How is that? Laura Massey: You can go to feedback to Xbox dot com. Under the "Give Feedback" section, there's backwards compatibility. Larry Hryb: Over on the right hand side? Laura Massey: Yep, over on the right hand side. Click "Backwards compatibility" and boom! You're there. You can leave your feedback there. Laura Massey: You can vote ones that are there, like right now; Call of Duty: Black Ops 2 is the top voted one. Laura Massey: With almost 200,000 votes. If you want to suggest your own, you can do that there, or you can vote on others to bubble them up to the top. Larry Hryb: And as you heard from Bill, it's not that they look at that ... that's what they use to kind of get them started, and then they go off and do some work, so some things take a little bit more work than others. That's, that's the reality as you just heard. Laura Massey: That's the public announcement. Larry Hryb: See, it's interesting because I got that question ... we're going to talk a little bit about my trip to Australia. Larry Hryb: I got the question, um, down when I was in Australia during the Q&A about what backwards compatibility game would I like to see. And I, I'm sure you didn't have a chance to watch the stream, but for those of you who did, you saw me answer it, and I said ... 'cause I set you up with that question about what ... and you, you dodged it. Larry Hryb: Which is exactly what I did. Larry Hryb: Because I looked at the person in the audience, and I said, "I'm not going to answer that because I'm not going to make a headline for some gaming sites." Larry Hryb: 'Cause they were like, "Oh! Major Nelson's favorite game! Is it coming soon?" And I'm not playing a game. Larry Hryb: We have one vote just like you! Laura Massey: We want to hear from you. That's more important than what we could say. Larry Hryb: Did I mention I went to Australia? Did I mention I went to Mexico? Laura Massey: You've been all around the world. Larry Hryb: I have been around the world. I've been ... if somebody did the math, and I think, did ... I think you did it. That I've actually been around the world if you add all the, all the miles up, I would've circled the globe. Laura Massey: That's just nuts. Larry Hryb: It is bananas. Laura Massey: But the good news is that you survived Australia. Laura Massey: Even though there was a spider on your window. Larry Hryb: Did you see that? Larry Hryb: And then, then right there in my face, right on the other side of the glass is this spider. Larry Hryb: Hello Australia! Hello! Laura Massey: It's like the spider knew. Laura Massey: Knew that you were there. That we've been talking about spiders for the past two months. Larry Hryb: And of course the joke is that everybody, uh, every, everything down in Australia, all the wildlife wants to kill you. Larry Hryb: As a human. Laura Massey: Well, I'm glad you survived. Larry Hryb: Yes. Have you been to Australia? Laura Massey: No, I haven't. Larry Hryb: Oh, Laura. What a beautiful country. Laura Massey: Yes. I would love to go. Larry Hryb: And I'll tell you ... here, the most beautiful country, I'll tell you Laura, my God is it far away. Laura Massey: It is far away. Larry Hryb: It is so far away. Laura Massey: Did you look in the toilets? To see if the water spins the other direction? Larry Hryb: You know, I remember thinking that, and I flushed, and then I forgot. Larry Hryb: Oh, I know why! I know why! We're going to talk about toilets, aren't we? Because the water, for some reason in the hotel room and every place that I used the water closet, it didn't like flush, it like ... the water like gushed down. Laura Massey: Oh, it doesn't spin? Larry Hryb: Yeah, it doesn't spin. Laura Massey: It goes straight down. Laura Massey: Isn't that disappointing? Larry Hryb: And you know what I mean? You know what I'm talking about where it's like ... and then I was like, "Okay." And then I forgot. Then I forgot about it. So I don't know. Larry Hryb: Um, but it was great to be down there. Laura Massey: Still a mystery. Larry Hryb: I'm getting the file. I'll have it on my Youtube channel. Laura Massey: So, if you missed it like myself, I also missed it. I want to see this keynote. Laura Massey: It's a big moment. Larry Hryb: I thought it was a big moment. Laura Massey: When's it, when's it going to be online? When are you going to share it? Larry Hryb: Well as soon as they're ... they're, they're getting me the high-def file 'cause the file they showed on Pax ... on the Pax Twitch stream, it was, that was good, but they had ads all over it. Larry Hryb: I want you to see that version. So, it was a lot of stories. Um, you ... many of which, Laura, since you and I are good friends, you know most of these. Larry Hryb: Um, I think there may be one or two in there that you don't know. Larry Hryb: There's a little bit something for you, so it was great to be down there. We spent ... I spent a few days by myself, uh, on the show floor hanging out with everybody doing a meet and greet. It was, it was just, it was great. And it was Pax. Imagine Pax in Australia. Enough said. Laura Massey: Wow. Mm-hmm (affirmative). Larry Hryb: Right, the weather was delightful. Melbourne is just unbelievably beautiful. Larry Hryb: Um, but my God, is it far away. Larry Hryb: I hate to keep saying that, but it was, it was ... a lot of people ask me about the flight. I went Seattle-LA, LA-Sidney, Sydney onto, Sydney onto Melbourne. Larry Hryb: Well, that flight from LA to Sydney is, I think, it's 14-17 hours depending on the tail winds or head winds. Laura Massey: Right. That's a long time. Larry Hryb: So, I get onboard at 10 o'clock at night. Larry Hryb: You eat. I take a sleeping pill. I go to sleep. They give you pajamas. Larry Hryb: They gave me pajamas. Laura Massey: Like full pajamas? Laura Massey: Not just socks? Larry Hryb: Yeah, not just socks. I had the ... what am I going to sleep just in my socks Laura? Larry Hryb: Slept another six hours. Larry Hryb: Woke up eight and then we landed. Laura Massey: What time did you land? Larry Hryb: I think we landed about eight o'clock in the morning Sydney time. Larry Hryb: A day ahead. Larry Hryb: 'Cause they lost a whole day and then I have to go to another terminal, another basically another part of the airport to get on a Melbourne flight. Larry Hryb: 'Cause Melbourne's another hour away, so it was just a lot of schlepping. A lot of schlepping. Laura Massey: That's a lot. Larry Hryb: So, anyway, so I did that, and it was a lot, and of course I came home. Now it's interesting because I came back to Seattle and then was here Friday. I don't even think I saw you. Larry Hryb: I was in town for 48 hours. Larry Hryb: And then turned around (sighs) and went to Mexico. Larry Hryb: Now, on top of all this, but when I left, I don't know if you remember this, but before I left for Australia, I was coming down with a little bit of a cold. Laura Massey: Yeah. It's that time of the year. Larry Hryb: Yeah, so it was exaggerated by my trip. I got back. I got jet lag. I've got a cold. I have ... I may have the flu. I don't know. Larry Hryb: And now I have to go to Mexico, so I have to get on a plane again. And I, I had never ... have you been to Mexico? Larry Hryb: I've never been to any part of Mexico. It was just wonderful, so we flew down, Phil and I, and some of the other folks were on the same flight. We flew down via Atlanta down to Mexico City, which seems like it's farther because you're going to the other side of the United States and then back, but it's not really. Laura Massey: Oh okay. That's good. Larry Hryb: It's not really because most ... anyway, so we get there, and now I have never been ... I said, I've never been to Mexico, certainly never Mexico City. It is, I believe, it's the high ... it's the, the capitol of the country is the highest capitol in the world. In other words, it's got the most altitude. Laura Massey: Okay. So, it's the highest above sea level? Larry Hryb: Yes, thank you. Thank you for correctly stating what I can't. Uh, and so it's like 8,000 plus feet. And it is, and you mentioned, you have ... your brother lives in Colorado in the United States. Laura Massey: He lives up the mountains. It's about 9,000. Larry Hryb: And I, I had a lot of problems with that. Larry Hryb: I just didn't ... I was like, "I'm not going to have a problem." I didn't even think ... to be honest, I didn't even think about it. Laura Massey: Right. You don't. Like that's not something on your list of things to think about when you're flying to Mexico City is the altitude, like I didn't know it was that high. Laura Massey: So, yeah, it's ... 8,000 is a significant difference. Laura Massey: When we're used to, what are we, 100 here? Larry Hryb: I think my house is 200 feet above sea level if that. Laura Massey: Yes, exactly. And that's a big difference for your body. Laura Massey: You process oxygen differently at that point. Larry Hryb: Is it more water? Is it less water? What do you do? Laura Massey: There's a little more water and a little longer. Larry Hryb: I remember on the back of boxes. Laura Massey: High altitude suggestions. Larry Hryb: It took us almost three hours. Laura Massey: There's a lot of traffic. Larry Hryb: The traffic was in Mexico City was unbelievable. I fell asleep in the back of the car. Laura Massey: I suppose you have to. It's three hours. Larry Hryb: I was sending you pin drops of ... I wasn't even like, "Hey, I'm here!" I was just, I'm just like, here's the pin drop. Here's where I am. Laura Massey: Just, just different places all the time. Larry Hryb: And it was like, and all of a sudden, so, so it was Melbourne, Sydney, LA, Seattle, Mexico City, some place ... I was ... you got pins, pins like crazy. Laura Massey: Pins around the world. Larry Hryb: I was there Thursday. We did, we opened it up Friday night, Phil and I and Aaron Greenberg was there. Laura Massey: Right. I saw lots of pictures of a ton of fans. Larry Hryb: Yeah, it was ... well, I got to tell you something, I have never ... the fans in Mexico were incredible. I've never met passion like this. Larry Hryb: They were excited. They were wond ... I wanted to spend time with each one of them. We had a great time there. Larry Hryb: I have to be honest with you. I'm not, I'm not just telling you this Laura. People were asking about you. Larry Hryb: Yeah, they wanted to know if you were there. If Jeff was going to be there. They even asked about E; they haven't listened to the show in awhile. Larry Hryb: Um, but it was, it was, there was a lot of passion. They listen to the show down there. Larry Hryb: So, so hello to all our listeners in Mexico, especially. Shout-out to you guys and girls. Larry Hryb: Um, but it was really nice to be onstage and talk to folks. Now if you go back and watch that stream, I was in a really bad way. Larry Hryb: Really, really bad way. Like so I had jet lag. Larry Hryb: Jet lag from Australia. I had some, some form of the flu or some cold. I had altitude sickness. Larry Hryb: Which was the most terrifying thing in the world. For those of you that haven't been up that high, and I explained this to you before Laura, is, uh, I, I didn't really think about it, I was just like, "I don't know if I'm jet lagged, if I'm sick." I didn't know what, I didn't know what I was feeling 'cause I was a whole collection of things. And we get back ... I think I got back the first, it was the second night after the Friday night, and I, I was exhausted, you know, yawning, and "I'm going to go to bed. I can't wait to go to bed." And one of the things I do when I travel, I'm going to tell you this, I don't think I've ever told you this before - when I travel, um, I usually take a shower before I go to bed. Because when you take a shower, you're mentally and figuratively kind of cleaning yourself off. Larry Hryb: Okay, so I never just get into the bed. I just ... so, I took a nice, warm shower. Laura Massey: Do you just do this when you're traveling? Not normally? Larry Hryb: Usually at home, actually, believe it or not, I do it as well, come to think of it. Laura Massey: I read some studies that say warm showers relax you a lot more so you go to sleep faster. Laura Massey: So can a hot tub. Yeah. Larry Hryb: Yeah, that's also part of it, so I take the shower, and I get in bed Laura, and I never fall asleep. Now I had taken a sleeping pill. Larry Hryb: So, I'm like, "I'm just going to go to sleep." Laura Massey: What I think is the most surprising is that a sleeping pill didn't knock you out. Larry Hryb: And essentially I was a prisoner in my own body. Laura Massey: That's just awful. Larry Hryb: So I'm lying there, and I'm like, "Please, let me go to sleep. Please let me sleep. I'm tired!" And I would not fall asleep. Laura Massey: Oh, you poor thing. Larry Hryb: So I got like maybe ... I think I dosed off for an hour before the alarm went off, and you know, the most terrifying thing, I'm sure this has happened to you, anybody, listeners, this has happened to you where you can't sleep and you're having a rough night, and you're like, "Oh, I'm finally getting to sleep." and then you kind of look at the windows and you see the sun coming up, and you're like, "Ah! No! Not now!" Larry Hryb: "I'm just getting to sleep!" Laura Massey: Night when I was in Denmark visiting people over there. Laura Massey: And I stayed up the entire night 'cause I couldn't fall asleep. Larry Hryb: Oh, that's a mess. Larry Hryb: That's a mess. Laura Massey: You look out the window, and you're like, "No!" Laura Massey: "I've missed my chance!" Larry Hryb: "I'm done!" So, anyway, and of course, we had the two days of, I was, I did some streams, I signed a bunch of autographs. It was just a lot of fun but came back, it was ... I love Mexico. I would love to go back. The food was incredible. The people were incredible. The fans were unbelievable. Uh, it was a wonderful time. I don't think it was sunny a moment I was there. Laura Massey: Was it rainy? Larry Hryb: It was cloudy. A little bit of rain, but it was cool. Much cooler than I expected. It was actually warmer here in Seattle than it was in Mexico. Laura Massey: That's super surprising. Laura Massey: Yeah. Yeah, it's really surprising. Larry Hryb: No, um, so it was a little bit, a little bit crazy there. So, anyway, I want to thank everybody that I saw in my, uh, two weeks and 70,000 or 56,000 miles trip around the world. Laura Massey: Yes, I'm glad you're going to stay put and get some rest. Larry Hryb: Stay put and get a bit of rest. Let my body get back in action because my body is very angry with me. Laura Massey: I bet it doesn't know what time it is. Larry Hryb: I need to play some games. Um, have you played any games? Usually we talk about what we're playing. I haven't really had a chance to play anything. Have you played anything? Laura Massey: I play ... I've played a few things. Larry Hryb: What have you played? Laura Massey: Uh, I think the biggest one I want to talk about is probably Battlefield One. I had a chance to try that out and play it. Larry Hryb: Did you play multi or single? Laura Massey: The campaign is, is a little different this time. Laura Massey: They've got the different cam- ... different styles of play. Laura Massey: I immediately jumped to the second story. Laura Massey: Which is the pilot. Larry Hryb: That's the one I did. Larry Hryb: Were you, were you, were you out on a, on a, on the blimp? Did you finish it? Laura Massey: I didn't get there. Larry Hryb: Oh no! I'm sorry. Larry Hryb: Oh, it's fun. Isn't it? Laura Massey: Of the campaign. Laura Massey: The most beautiful game I've seen on this duration so far. Larry Hryb: You want to play multi-player with us? I've ... to be honest with you, I haven't even ... I've had zero time to play multi-player. Zero! Laura Massey: How much of the campaign have you gotten through? Larry Hryb: I think I'm through three of the six stories. I think I'm ... actually, I think, oh, no I think I'm through four of the six. I think I'm through four of the six right now. Laura Massey: So, almost done. Larry Hryb: Yeah, do the one with Lawrence of Arabia. That one's really good. That's the very, the right-hand one, way down. Laura Massey: Yeah, for this one. This one? Larry Hryb: Yeah, oh God, that's so good. Laura Massey: That sounds really fun. Laura Massey: Yep, I also played a bit of Costume Quest too. Laura Massey: Because it's been a long time since I had a show and it was Halloween. Laura Massey: Yeah. Remember that? Larry Hryb: It was Halloween. Yeah I do. Laura Massey: Yeah, it's a long time ago. Larry Hryb: Yeah, well, yeah. Laura Massey: 'Cause it's, it's a great story, uh, super cute, but the funniest thing is when you go to battle one of the, the time lords, it then turns into a turn-based game. Laura Massey: Which I know is your favorite. Larry Hryb: Who doesn't love good candy corn? Larry Hryb: Corn syrup based. Laura Massey: You meet with [inaudible 00:38:44] to be part of your party, but the funniest thing are all the jokes. Laura Massey: You hear ... you're a superhero, you can fight these time lords, but your brother is just candy corn, and candy corn can't fight anything. Larry Hryb: Right. Candy corn's nothing. Laura Massey: (laughs) Candy corn isn't anything. Larry Hryb: It's not even a candy. (laughs) Can't even fight. Laura Massey: Exactly. So every time it's Candy Corn's turn, it's just ... it pops up a little text above the candy corn making some kind of joke. Larry Hryb: Well, that's great. Larry Hryb: Did you, did you dress up this Halloween Laura? Laura Massey: No, I didn't. Laura Massey: I was, I was away for Halloween, so I didn't have a chance to dress up. Larry Hryb: Okay. You promise? Larry Hryb: Okay. I'm going to hold you up to that. Laura Massey: We'll see what I can conjure up next year. Larry Hryb: So, that's what you've been playing. Laura Massey: Yep, I've been playing other things that we've already talked about, like Diablo. Larry Hryb: I finished the Titan Fall 2 campaign. Haven't played any of the multi-player. Um, I've been kind of checking off because I haven't had a lot of time, and I've had weird, weird time when most of my people aren't on to play. Laura Massey: Different time zones. Larry Hryb: Different time zones, so I've been playing, you know, chipping away at some campaigns. Larry Hryb: So that's what I ... that's really what I've been doing. But I know ... you know, Hallo- excuse me, Thanksgiving here in the United States is next week, which reminds me, we may not have a show again 'cause Thanksgiving, unless we record early. I'll have to talk to ... we'll have to figure that out. Laura Massey: We'll have to figure that out. Larry Hryb: Uh, but we'll, uh, we got Thanksgiving coming, so I'm really just going to stay home in my boxer shorts and play games. Larry Hryb: [crosstalk 00:40:22] Yeah exactly. Chip, chip through that and do that. Looking forward to that. You know, I want to point, uh, I'm sure you know this by now, but we also issued the system update. Larry Hryb: The Xbox One system update which had a bunch of really great stuff and including the looking for group, clubs, and the, the rare ... have you seen the rare achievement stuff? Laura Massey: Yes I have. Larry Hryb: Did you know I worked on that? Laura Massey: I heard that you did. Larry Hryb: I did. I did the, uh, I worked with the team on the audio. Laura Massey: I think I got a rare achievement. Larry Hryb: You did? Tell us! Laura Massey: I don't remember what, what it was. But I remember play ... seeing it pop up, thinking, "Ooh!" Larry Hryb: And it made the sound. Laura Massey: It made a different sound. It had different animation. I was like, "It happened!" Larry Hryb: Yes, that did happen. Larry Hryb: So, good. I'm glad you got one. Glad you enjoyed that. Laura Massey: Yeah, I can't remember what it was. Probably Diablo. Probably some game [crosstalk 00:41:08]. Larry Hryb: I'll take a look on your profile. Larry Hryb: So that happened. Um, we've got a lot of stuff going on. Black Friday's coming up which is a big sales time in the US and frankly around the world. Black Friday and Cyber Monday, so that'll be coming up, uh, after Thanksgiving and to be honest with you, I'm going to be posting them a little early, so keep an eye on Major Nelson. Larry Hryb: I'm going to have the whole list over there sortable for you. You can buy as many ... one or buy them all! And gold members will save additional ... of course, if you're a gold member, you save additional monies. Laura Massey: Pro tip there. Larry Hryb: We got a lot going on Laura. (sighs) Oh boy. Laura Massey: Can you talk about your, this week at Xbox? Larry Hryb: Oh. Haha! Yeah, this week on Xbox, so this hilar ... we're posting this show on Friday, and this week on Xbox for today or, or depending upon when you're looking at this on the 18th of November is a special crazy Larry edition. Larry Hryb: Which always, people always seem to like it. And, um, those ... I've talked about those people always ask for those. Now this is a different crazy Larry. Instead of, look at this one closely, 'cause instead of crazy Larry going crazy, this is more in the mind. Larry Hryb: It's inside the mind of crazy Larry. It's a little more abstract. Laura Massey: A little more cerebral. Larry Hryb: A little more abstract, so that was a lot of fun. You saw that one, and you, you enjoyed it. Laura Massey: Did you get that I was doing a play-by-play? Larry Hryb: Yes you were. Laura Massey: In a video recording. Larry Hryb: Xbox. In fact, there's only, and that is, of course, I'm dancing a slightly. A little bit. Larry Hryb: About how many years ago? Larry Hryb: Yes. That's right. Laura Massey: In Dance Central. Larry Hryb: You, you, you lured me in, you black widow. Larry Hryb: You, black widow, you. Laura Massey: You had said at that point, you'd promised that you would never do that again. Laura Massey: At least you're in there for people to look for. Larry Hryb: It's available, it's available on, uh, on the Youtube cha- .. Xbox channel. You can also find it if you scroll back on my Twitter. You'll see it there as well. Laura Massey: You can also see it on your Xbox dashboard. Laura Massey: It should be there. Larry Hryb: Yeah, it's usually there. It's in the, it's in the ... scroll to the right, and you'll see in the community section, the right-hand side there. I don't know what image they're going to use. Larry Hryb: I hate ... I just, I hate that. I don't know what image they're going to use. Laura Massey: You talk about the last week on Xbox? Larry Hryb: Oh, the one where I had to wear farming stuff? Larry Hryb: Now that was a funny story because the farming simulator came out and our producer, who, uh, is very creative, came out and said, "We're going to have you wear these things." You know, I'm ... I'll try anything. Laura Massey: You try it. Larry Hryb: I'll try anything once. And I threw it on, and it was ... it actually, I pulled it off, but I remember, without any context at all, I sent you the photo. Larry Hryb: 'Cause I figured you'd appreciate it. So I text you the photo, no, "Hey Laura. What's up?" I just sent you the photo blindly, because we're at that point now in our relationship where I don't need to tell you. I'm just sending you stuff. Laura Massey: I'm just like (gasps). Larry Hryb: Did you drop the phone? Laura Massey: What is this? Larry Hryb: You're like, "What the ... what?" And it was the pink oxford shirt. Laura Massey: The hat. The animals in your pocket. Larry Hryb: Yep, the pitch fork. Laura Massey: The cow, the pig. Larry Hryb: And the milk. Laura Massey: Oh, I didn't know ... I was too distracted. Larry Hryb: A little bottle o' milk. Larry Hryb: Yeah, it was a little too much for you. Laura Massey: To see that there was a bottle of milk. Larry Hryb: I can farm. I mean, I'm not, uh ... I don't have as much experience as you do. Laura Massey: (laughs) Maybe not. But I hear there's multi-player. Larry Hryb: Oh, there is multi-player in the farming simulator. Laura Massey: In the farming simulator. Larry Hryb: So, we need to (breathes), we need to investigate that. Larry Hryb: We need to investigate that. Laura Massey: We need to do some co-op farming. Laura Massey: You have the outfit all ready. Larry Hryb: And see, I put them up there. See, the pig's over there. Laura Massey: Oh, there he is! Laura Massey: The cow over there! Larry Hryb: And the pig is ... you can't see him, he's around [inaudible 00:44:49], so we got this wall in, uh, the studio here, um, in our workspace where we just put up the "best of". Right? Laura Massey: Right. The best of your "This Week on Xbox". I see [inaudible 00:44:58] up there. Laura Massey: You can see the catalog. Larry Hryb: You can see the Chef Boyardee stuff from when we launched Xbox One. Laura Massey: A-ha! There's, uh, the Plants Vs. Zombies sunflower from Garden Warfare. Larry Hryb: There's the bourbon they gave me from Mafia 3, so there's a lot of stuff up here. Larry Hryb: I should, I should take a photo of that. There's, and this is, this isn't me ... this is probably less than a third of it. Maybe even a quarter of it. Larry Hryb: We got a lot of stuff coming in here. Laura Massey: We sure do. Larry Hryb: Um, anyway, so we got that. Black Friday - be sure to keep an eye on my Twitter and my, uh, and my blog. 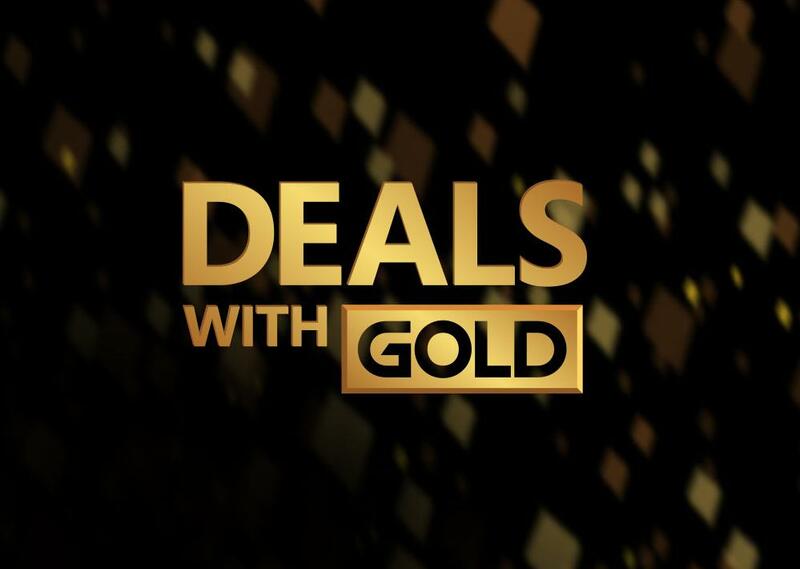 I'll have, I'll have, uh, deals for Xbox One and any other deals that I come across 'cause you know I like to keep you guys up to, up to speed on what's going on there. Laura Massey: That's right. Keep an eye on Larry's Twitter. Larry Hryb: Oh, you know what you need to do Laura? I was thinking about this. Larry Hryb: You need to pay off an award and name the gamer. Laura Massey: That's right. It's been a month. Larry Hryb: It has been months. It's been a month! Laura Massey: It's ... maybe even over a month. Larry Hryb: It's maybe even over a month, so we apologize ... well, you know, I'm not ... Laura, you don't need to apologize, you've been here. I'm the, I'm the bozo that's been all over the country and all over the world, it's not your fault. Laura Massey: Let's wrap that up. Larry Hryb: Here we go! Laura Massey: So that was the last Name the Game we had, and it was Horse Racing 2016. Laura Massey: Probably an easy one. Larry Hryb: Yeah, probably an easy one. Laura Massey: The winner is Joshua from Philly. Larry Hryb: Joshua from Philly, aw, too bad Jeff isn't here. I know he's a Phillies f- He's a Phillies fan. Laura Massey: Right. So, the gamer tag of Joshua is sauce4117. Laura Massey: Congratulations. You've won a lot of awesome stuff. Larry Hryb: Uh, and you collect a bunch of stuff. What'd you collect this week while I was away Laura? Laura Massey: A lot of awesome stuff. Oh my goodness. I haven't given a prize pack away like this in awhile. Laura Massey: First off, you get a copy of Horse Racing 2016. Larry Hryb: Yeah, of course 'cause you need that. Laura Massey: 'Cause you need that. You know, obviously, and then, after that, Skate 3. Laura Massey: Which has just come back for back compat. Laura Massey: Gears of War 4. Larry Hryb: You ... ultimate edition! Larry Hryb: But wait, there's more! Laura Massey: Watch Dogs 2. Laura Massey: Which just came out. Larry Hryb: I just started playing that. Laura Massey: Just started playing that? Larry Hryb: I'm so ... I'm hacking my way through it. Laura Massey: Oh my goodness. I've heard good things. Larry Hryb: You know, 'cause I ... you know, I, go ahead. Continue. Laura Massey: (laughs) We should talk about that afterwards. Laura Massey: An Xbox stereo headset. Laura Massey: Which is a special edition. Laura Massey: There's a new one that just came out. Larry Hryb: Yeah, the arctic white or polar white. Laura Massey: That was beautiful. Larry Hryb: Whatever white they're called. Yeah. Larry Hryb: Yeah, it really is. Laura Massey: And that's not all! Laura Massey: You also get a code to create your own xbox controller. Laura Massey: So, you get an Xbox design lab code. Larry Hryb: Yeah, you're going to go to designlab.xbox.com and we're going to make, create your own controller. I know you did Laura. Laura Massey: I did. Yes I did. Larry Hryb: I happened to see it. Laura Massey: Where'd you see it? Larry Hryb: I saw it on the photo you posted. Laura Massey: (laughs) You saw my Xbox [inaudible 00:48:29] day post. Laura Massey: Well, I was also wearing a very special present. Larry Hryb: People seem to like that. Laura Massey: (laughs) I know. People seem to like it. Laura Massey: And I love it. Larry Hryb: Is it comfortable? Laura Massey: It's super comfortable. Laura Massey: I wore it while I was playing. Laura Massey: Kept me really toasty. Larry Hryb: Have all the right stuff. Laura Massey: Have all the right stuff. Laura Massey: Yeah, on the shoulder. There's a shoulder pocket. Laura Massey: I didn't realize it had so many pockets. Larry Hryb: Right. It's got pockets everywhere. Laura Massey: Fantastic. Really special gift there. Larry Hryb: Good. Well, I'm glad you like it. Laura Massey: Okay, so do we do another name game? Larry Hryb: I don't know. (laughs) Do I have anything left? Larry Hryb: I don't even know if I have anything left. Laura Massey: Well, I'm sure we can find something. Larry Hryb: All right, go ahead, and you got another sound clip ready? Laura Massey: Yep. Let's roll the next name game. So, that was our new "Name The Game". If you too would like to win some fabulous prizes, it's really simple. All you have to do is send me an email with what game those sound effects are from. Very easy. Laura Massey: It's going to be from an Xbox One game. It could be from an Xbox one back compat game. Larry Hryb: It could be. Laura Massey: All you have to do again; send me an email, lollypop at Xbox ... I just messed that one up. Laura Massey: Lollypop at xbox dot com. Laura Massey: I'm sure this time. Larry Hryb: Or major at xbox dot com. Laura Massey: And you can also send it to major at xbox dot com. We will ... if you send it to either of us, we'll make sure it gets into the same pile. Laura Massey: And of all the correct answers, we'll choose a random winner. Laura Massey: R-D parenthesis ... what's going on here? Not sure. Larry Hryb: It's my terrible, terrible attempt at verbalizing code. Laura Massey: The inner nerd in me is happy. Larry Hryb: Somebody, somebody got it somewhere. That's all that matters. Anyway, congratulations to that, to that winner, and, uh, you could be our next winner. Hopefully you will just drop us an email, and if you think you know what that is, it's, it's real simple. Don't hit us up on Twitter because that's not how you enter. Laura Massey: That's not the best way. Larry Hryb: That's not how you enter. You can, but it doesn't count. Larry Hryb: You can always say hello to us on Twitter. Larry Hryb: Speaking of that, do you know what happened? Did we talk about my million followers? Larry Hryb: A million plus followers? Laura Massey: Yes, let's talk about it. Larry Hryb: Uh, that's all. That's all. No big deal. Laura Massey: How many are you at now? Larry Hryb: I think 1.1. Laura Massey: Yes, your follower to followee count? Larry Hryb: I think it's six. Larry Hryb: It's act- ... small. I still have E on there. When should I take him off? Should I take him off? Laura Massey: I don't know. You were long-time friends. Larry Hryb: He was! He ... absolutely! Larry Hryb: He is. He still is a friend. Although I, I haven't seen him in awhile. Laura Massey: I haven't seen him in awhile either. Larry Hryb: Do you want to go see him over at Pokemon? Laura Massey: We should make a little field trip. Larry Hryb: Would you like to do that sometime? Laura Massey: That sounds great. Larry Hryb: I think I know where his office is. Laura Massey: We can bring microphones. Larry Hryb: We can bring microphones. Oh! Laura Massey: Little field trip. Larry Hryb: Take the show on the road! Larry Hryb: I like your thinking Laura! Wow, let's just talk to Ian and see if he wants to do that. Laura Massey: Yeah, see what he's doing. Larry Hryb: All right, we're going to wrap things up here. I don't really have much more to add. We've had a great, uh, great show. I want to thank Bill Stillwell for coming by and kind of pulling back the curtain on the secret that is backwards compatibility. Larry Hryb: On Xbox One. Larry Hryb: So, keep, uh, I want to thank him for that. That was a lot of fun there. Keep those suggestions flowing at feedback.xbox dot com. Larry Hryb: All right, Laura. What are you, what are you going to play this weekend? Laura Massey: I have so many things to choose from. Larry Hryb: Going to do some Battlefield? Laura Massey: Yeah. I want to do some Titan Fall too. Larry Hryb: Titan Fall 2. Good, yeah, do that campaign. It's a good campaign. Laura Massey: Yeah. Very good things. Larry Hryb: Hope you like [inaudible 00:52:44]. Laura Massey: Who doesn't? Who doesn't love [inaudible 00:52:46]. Larry Hryb: Oh, uh, that's fine. I'm ... I'm not saying nobody does. I'm just saying hope you like it. Laura Massey: Oh. I definitely love it. I loved it in Titan Fall 1. Laura Massey: And I hear it's just so much better in Titan Fall 2. I don't know how they can make it better, but happy to try it. Larry Hryb: But check that out. Larry Hryb: Is it, is it me ... go ahead. Laura Massey: No, no. No, sorry. I didn't mean to interrupt. Larry Hryb: Is it me or are we like a month away from the new Star Wars movie and tickets aren't on sale yet? Laura Massey: Yes! I've been checking every single day! Laura Massey: I've been checking every single day. Laura Massey: I've been calling almost every single day. Larry Hryb: Why, who are you calling? Who uses the phone anymore? Larry Hryb: I don't think in the long ... in the years I've known you, you've been on the phone maybe twice. Larry Hryb: You never pick up the phone. Laura Massey: And I'm like, "This is impossible." Laura Massey: "I'm going to call!" Larry Hryb: When do they go on sale? Laura Massey: Not even the theaters that I call know. Laura Massey: They say that they're still waiting to hear [crosstalk 00:53:35]. Larry Hryb: All right, well, we got to figure that out. Laura Massey: I know, so keep checking every day. Laura Massey: I wanted to do gadgets. Do we have time for gadgets? Larry Hryb: Yes, of course! Larry Hryb: Oh, oh, yeah! Talk about that one. I totally forgot about this crazy, crazy gadget you have. Larry Hryb: Which I think I know about, but I really don't because I've only seen clips of it. Laura Massey: Only seen little pictures here and there. Laura Massey: (laughs) Random photos back. So, I'm really excited about my latest gadget. Laura Massey: I've gotten a, a electric smoker. Larry Hryb: Electric smoker because it's for smoking meat. Laura Massey: For smoking meats. Laura Massey: Just doesn't have great barbecue. Larry Hryb: I trust you implicitly and blindly when it comes to this. Laura Massey: (laughs) So the solution that I found that's really awesome is to make my own. Laura Massey: So I am now a barbecue smoker in training. Laura Massey: So, I got ahold of a, the Franklin barbecue book. Laura Massey: It's ... Franklin is the famous barbecuist from Austin. Laura Massey: He has a whole book about how to cook barbecue. Larry Hryb: Does he have a restaurant? Larry Hryb: Is that his first name or last name? (laughs) Let's just say Franklin. Franklin's barby ... the name of his restaurant is Franklin's Barbecue. Laura Massey: It's his last name, I think. I can't remember. I read his whole book, and I can't even remember. Laura Massey: Uh, his ... he's famous for selling out ver- of meat very quickly. Larry Hryb: Yeah. Because in barbecues, in barbecue, you have to prepare it. You can prepare ... it takes hours. Laura Massey: It takes, in some cases, you know, over night. Larry Hryb: So, it's like when you run out, you can't just make more. Larry Hryb: Right, so it's out. Laura Massey: Wait for the next day. Laura Massey: So, it's famous for having an incredibly long line. People will stand in line starting at six a.m.
Larry Hryb: So, you've been there? Laura Massey: I've not been there. Laura Massey: He opened his restaurant two years after I left. Larry Hryb: You're getting old Laura. Laura Massey: Right. It's been almost ten years. Laura Massey: Can you believe that? Larry Hryb: Wow, stop this. Stop this. Laura Massey: No. January of next year. Laura Massey: It'll be 10 years. Laura Massey: I know. It's crazy. Craziness. But he's famous for having an incredibly long line. People standing in line for over five hours to eat lunch. Larry Hryb: And is that ... it's downtown? Laura Massey: Secrets of one of the best barbecue restaurants, in my opinion, probably in the world because I grew up in central Texas. Larry Hryb: Mm-hmm (affirmative). Mm-hmm (affirmative). Laura Massey: Um, I actually grew up in the town where Franklin got his first job. Laura Massey: Uh, cutting meat. Laura Massey: I didn't realize that the town I grew up in was one of the best barbecue restaurants in the world, so I, that probably tells you where my standards are. Laura Massey: Normal barbecue, for me, like all the events I would go to growing up, they were catered. Larry Hryb: So, Laura's had the best. Laura Massey: I had no idea until I read this book. Laura Massey: I was like, "Oh, really? My standards are really way too-"
Larry Hryb: They're not, they're not high. They're just, um, yeah, okay, they are. Larry Hryb: We've talked about that. Laura Massey: And Louisiana ... see all different types of styles. And Franklin, of course, is right at my heart, so I have his book, and I'm trying out his methods. Laura Massey: In my new electric smoker. Larry Hryb: So, you've got this book, but you need the smoker. Laura Massey: Control the lights. And it reports back and sends you notifications when it's reached its temperature or lets you know when it's done. Larry Hryb: So, you need to give me a link to this, so I can ... like on Amazon, so that I can put a link to it in the show notes. Laura Massey: You can name it. Larry Hryb: What did you name yours? Laura Massey: Can you see it? Larry Hryb: Oh! May, may I say what it is? Laura Massey: Yes, you can! Larry Hryb: It is, uh, Smokey McSmokeFace ... my God, that thing's huge! Laura Massey: It's a big smoker. Yeah, it's Smokey McSmokeFace. Laura Massey: He's cooked ribs and brisket for me so far. Larry Hryb: Where does he sit? Outside? Laura Massey: Yeah, he's definitely ... it's an outdoor thing. Larry Hryb: Put it on your back, put it on your back patio? Wow. Laura Massey: Mm-hmm (affirmative). Definitely an outdoor thing. Uh, I smoked the ribs for five hours and the brisket for eight. Larry Hryb: Where do you get the stuff to smoke it with? Larry Hryb: The wood, yeah. Laura Massey: Uh, I got wood chips from a local supermarket. Laura Massey: I ... this, the thing actually uses very few wood chips. Larry Hryb: Oh, so it's efficient. Laura Massey: It's very efficient, yeah, because it's all just built around lo- and cooking low and slow. Laura Massey: So, the temperature in it never really gets above 250. Laura Massey: And it is got very efficient ways to smoke, like get smoke out of wood chips. Laura Massey: And you just fill the whole chamber with smoke. Larry Hryb: Yeah. Looks like a little refrigerator. Laura Massey: Yeah, it looks like a little fridge. Laura Massey: And you put some wood chips in the side. Laura Massey: And you drop them down. Laura Massey: And it starts heating them up, and as soon as it does, it just fills the whole chamber with smoke. Larry Hryb: What else can you smoke? Laura Massey: You can smoke any meat. Any meat. I haven't, I've only tried ribs and brisket. Larry Hryb: You ever going to smoke cheese? Laura Massey: I have had them. I have not smoked it myself. Laura Massey: It would. It would. Oh yeah. Larry Hryb: Well, it would melt 'cause of the temperature. Larry Hryb: Let's have a smoke fondue. Laura Massey: 'Cause the lowest temperature it does is 225 or like 200. Larry Hryb: Right below boiling. Larry Hryb: Right. Anyway, that's, that's delightful. Larry Hryb: So, you're pleased with it. Laura Massey: I'm having a ton of fun. Laura Massey: Yes, we could have a great conversation. Larry Hryb: He, we ... now, now we really need to have a road trip to go see him in Pokemon. Laura Massey: Yep, talk about cooking, cooking things on a smoker. Larry Hryb: Right, right. That's cool. Laura Massey: Yeah. So, it's super fun. Laura Massey: That's, uh, my way to bring Texas to Seattle. Laura Massey: Little bit of home cooking. Larry Hryb: Love the way the boys have started to talk in this room while we're still trying to do a show. Did you notice that? Laura Massey: Do they know we're wrapping up? Larry Hryb: We hear you on the microphones. So, let me turn this microphone down. Laura Massey: Well, thank you for letting me indulge in my smoker stories. Larry Hryb: On the show. Laura Massey: We'll say hello. Larry Hryb: Awesome. I think we're overdue with that. All right. Laura, thank you for taking the time for coming out. Larry Hryb: Uh, dear listener, thank you for taking us the time out of your day. Uh, Christmas and the holidays are coming up, so whatever you do, be safe, have fun. See you online. Keep it on my blog at majornelson dot com for all the deals or on Twitter dot com. Laura, how do they find you on Twitter? Laura Massey: They can find me at Laura Lollipop. Larry Hryb: Yeah, or you just go find me at Major Nelson, look at one of the six people I'm following. Larry Hryb: She's easier ... probably easier to find there. Laura Massey: That's the other way to do it. Larry Hryb: All right, guys. We'll see you next time. Buh-bye.